Using techniques from atomic physics, Washington scientists have traced the origins of some of the world's most notorious flying creatures: the geese that forced a US Airways jetliner to land this year in the Hudson River. 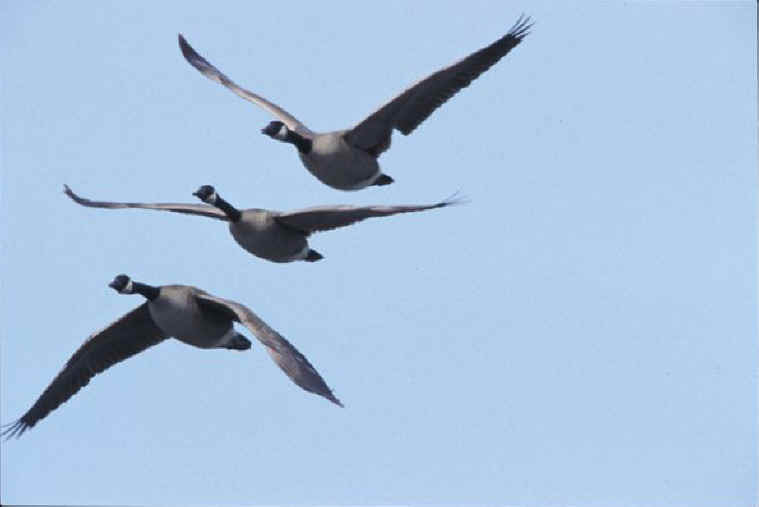 Pete Marra of the Smithsonian Migratory Bird Center at the National Zoo and colleagues, including seven from various Smithsonian branches, concluded this week in a scientific journal that the Canada geese that brought down Flight 1549 were migratory. The conclusion shows clever scientific detective work. But according to Marra, it also has value for aviation safety. "It's enormously important," he said last night in an interview. Avoiding the documented danger of bird strikes requires knowing more about the birds , including whether they live full-time near airports, or migrate. "The fact that these are migratory suggest that we need to rethink how we manage for these animals near airports, he said. "We need a lot more information." An abstract of the scientists' paper said knowledge of migration patterns could help minimize the risk of collisons between birds and airplanes. According to the paper, published Monday in Frontiers in Ecology and the Environment, finding the origins of the birds in the crash was based on analyzing a key property of the atoms in their remains. In essence, the idea is this: Nuclei of most hydrogen atoms have no neutrons, but a small fraction have one neutron. The ratio of the two types of hydrogen nuclei can depend on the latitudes from which the atoms come. Finding the ratio of the two types of hydrogen atoms in bird feathers can indicate the place of origin of the food that formed the feathers, and thus show where the birds themselves came from. Comparing the ratios from geese known to be migratory with remains of the New York birds showed them to be migratory, too, Marra said. He said he was "99 percent positive." In essence, the idea is this: Nuclei of most hydrogen atoms have one neutron, but some have two. The ratio of one-neutron and two-neutron atoms in bird feathers can depend on the origin of the food that formed the feathers. Comparing the ratios from migratory geese with remains of the New York birds showed them to be migratory, too, Marra said.